Protests in parts of Sudan continued for the fifth consecutive day on Sunday, as doctors prepared to strike over the rising cost of bread and fuel. At least 10 people have been killed since the demonstrations began on Wednesday after the government hiked the price of a loaf of bread from one Sudanese pound to three (about $0.02 to $0.06). Protesters are calling for President Omar Hassan al-Bashir to step down. 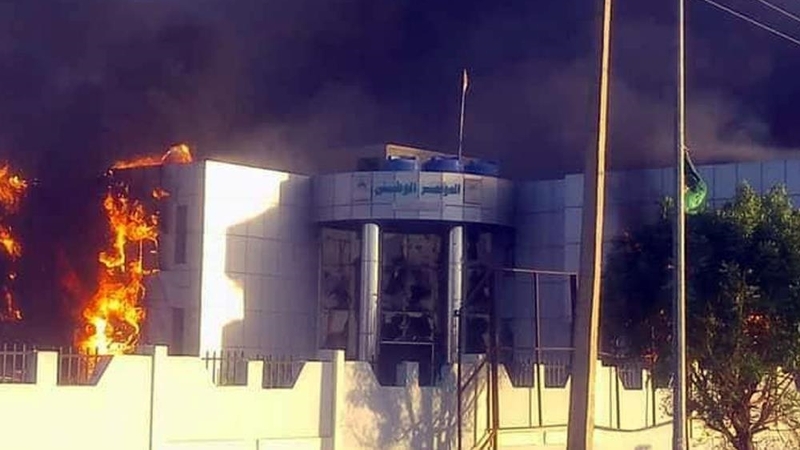 On Sunday, residents in Um Rawaba, 200km southwest of the capital Khartoum, told AFP news agency that some 600 people gathered in the market chanting, “the people want the fall of the regime”. Protesters burnt tyres and branches in the streets and attempted to storm a government building before being rebuffed by security officials, witnesses said. In Atabara, 300km northeast of the capital, riot police and plain-clothed operatives deployed tear gas against hundreds of protesters, a witness said. There was a tense calm in the streets of Khartoum on Sunday as schools and universities were shuttered by a nation-wide government suspension, and riot police equipped with batons and tear gas guarded buildings. “We were asked to leave this morning,” said a university student from northern Khartoum. Sudanese queued outside bakeries in the city, where vendors were refusing to sell more than 20 loaves of bread per person. “I have a big family and this bread is not enough for three daily meals,” a local resident told AFP. A bakery worker said a security guard standing nearby was not allowing the shop to sell any more. Doctors are also set to go on strike on Monday in the first of a series of work stoppages, announced by an umbrella coalition of professional unions. In a statement, the coalition said the doctors will continue to deal with emergencies during the strike, which begins Monday and aims to “paralyse” the government and deny it much-needed revenues. The coalition also called on citizens to continue their street protests. There have also been calls by a number of independent trade and professional unions for a general strike on Wednesday. Participants in the protests have so far numbered in the hundreds or low thousands in each location, but their continuation for nearly a week despite the use of force by police suggests the level of popular discontent over al-Bashir’s rule is at a dangerously high level. 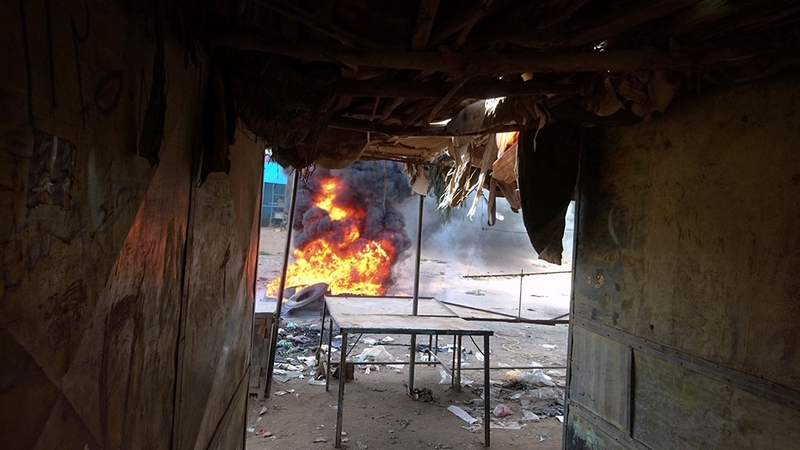 Sudan’s official news agency SUNA reported on Sunday that authorities had arrested a “cell of saboteurs” that planned “acts of vandalism in the capital”. The official outlet said the “cell” includes members opposition groups, but did not elaborate. Sadiq Youssef from the opposition coalition, National Consensus Forces alliance, had said earlier that 14 members of his group, including its president Farouk Abu Issa, were arrested as they left a meeting. A group bringing together representatives of different professions called in a statement Sunday for a series of strikes over the price rise, starting with hospitals from Monday. Anger has been rising across Sudan over the rising costs of bread and fuel and other economic hardships, including skyrocketing inflation and limits on bank withdrawals. The country’s economy has struggled to recover from the loss of three-quarters of its oil output – its main source of foreign currency – since South Sudan seceded in 2011, keeping most of the oilfields. The country’s economic woes have been exacerbated in the past few years, even as the United States lifted its 20-year-old trade sanctions on Sudan in October 2017. The US has kept Sudan on its list of state sponsors of terrorism, which prevents Khartoum from accessing much-needed financial aid from institutions such as the IMF and the World Bank. Bread prices have more than tripled since the start of this year after a government decision to stop state-funded imports of wheat. Officials had hoped the move would create competition between private companies importing wheat, and therefore, act as a check on price rises. But a number of bakeries stopped production, citing a lack of flour. This forced the government to increase flour subsidies by 40 percent in November. Meanwhile, the value of the Sudanese pound has slumped by 85 percent against the US dollar this year, while inflation soared to nearly 70 percent in September. The economic crisis is one of the biggest tests faced by al-Bashir, who took power in a coup in 1989. In recent months, he has dissolved the government, named a new central bank governor and brought in a package of reforms, but the moves have done little to improve the situation. Meanwhile, Qatar has offered its support to al-Bashir, according to Sudan’s state news agency. Sheikh Tamim bin Hamad al-Thani spoke to Bashir on the phone on Saturday and pledged Qatar’s “readiness to provide all that is needed to help Sudan get through this crisis”, the Sudanese state news agency reported.